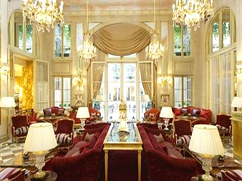 The Hotel de Crillon is one of the world’s oldest luxury hotels. It is located at the foot of the Champs-Élysées on the north end of Place de la Concorde. This 5-star residence occupies 2 identical buildings. 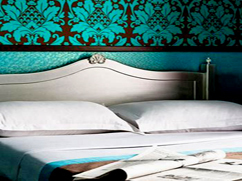 All spacious guest rooms are decorated in a Louis XV style and have free Wi-Fi internet access. They offer views of Boissy d’Anglas street and one of the hotel’s interior courtyard. Situated across from Saint-Germain-des-Prés Church, Hotel Madison is located in the heart of Paris’ Latin Quarter. 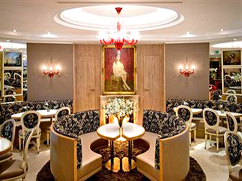 It offers modern accommodations and an elegantly decorated bar. The guest rooms at Hotel Madison are decorated in a contemporary style. 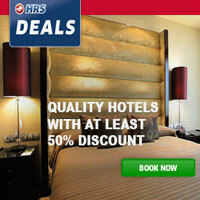 Modern facilities include private bathrooms, satellite TV, a minibar and free Wi-Fi access. This hotel is a short walk from the Pantheon, Luxembourg Gardens and Notre Dame, and each stylish, colorful room contains an Apple iMac and luxury design features. Following a complete renovation, Hôtel de la Sorbonne is now a design hotel. Each room has its own individual shape and decor, and the cozy salon is the perfect antidote to the bustling Latin Quarter. 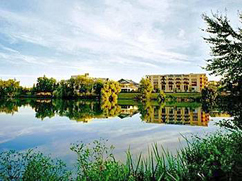 This Park & Suites Elégance is located near the banks of the Etang de Maubuée, a 20 minute drive from Paris and 10 minutes from Disneyland®. The Park & Suites Elégance Marne La Vallée-Lognes has comfortable guest rooms equipped with satellite TV, a kitchenette and modern private bathrooms.